Gettysburg Licensed Battlefield Guide John Winkleman is our host for the series on Adams County Civil War Taverns. 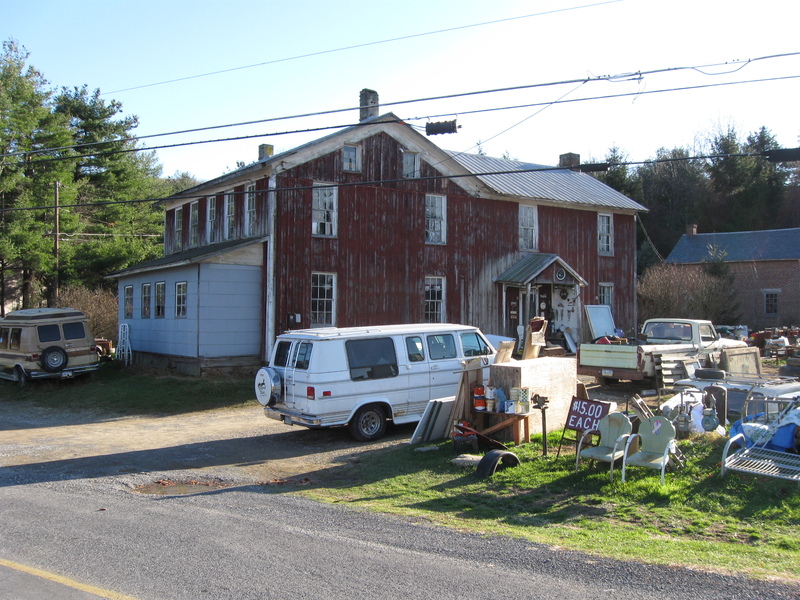 He is standing by Newman’s Tavern where Old U.S. 30 (Chambersburg Pike) leaves modern U.S. 30. Newman Road also junctions here. Newman Road is to John’s left. This view was taken facing southwest at approximately 3:15 PM on Sunday, November 29, 2009. Gettysburg Licensed Battlefield Guide John Winkleman is a native of New Jersey and a resident of Adams County, Pennsylvania since 2000. He is U.S. Navy, Vietnam War Veteran. John has been a Licensed Battlefield Guide since 2004. In our first post, Gettysburg Licensed Battlefield Guide John Winkleman began his series on Adams County Civil War Taverns. He started at the Graffenberg Tavern on South Mountain in Franklin Township. This map shows the location of the videos taken during our series on Adams County Civil War Taverns. 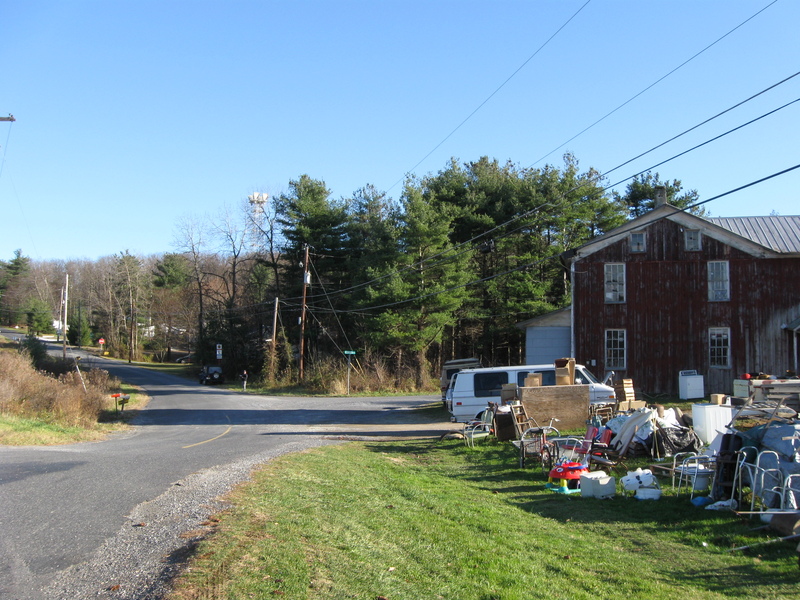 Videos #1-3 were taken at the site of the Graffenburg Tavern on the north side of the Chambersburg Pike, U.S. 30. Video #4 was taken at Newman’s Tavern at the junction of Newman Road with old U.S. Highway 30. 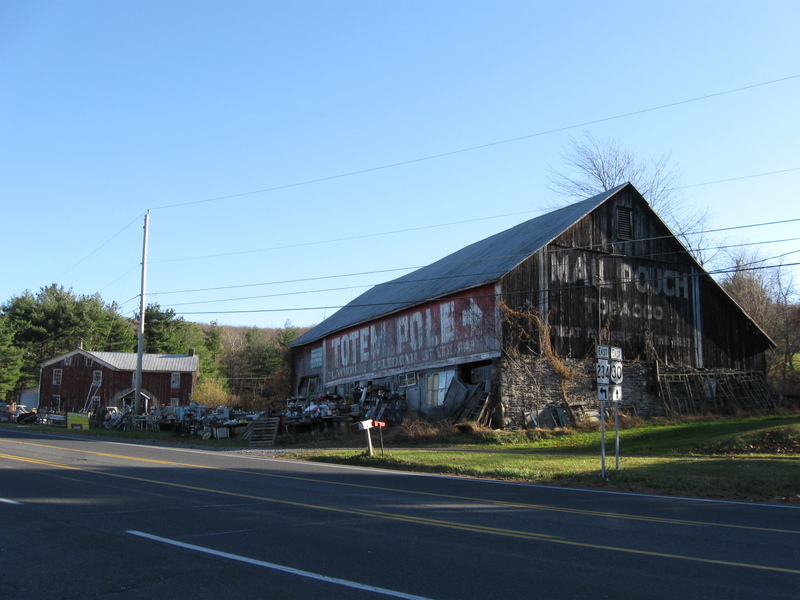 Videos #5 and #6 were taking farther east on old U.S. 30 where the Cashtown Gap is first clearly visible. This map was created facing north at approximately 7:00 PM on Tuesday, December 1, 2009. The barn at the site of Newman’s tavern is a familiar landmark for visitors traveling on modern U.S. 30 (shown in the foreground) from Chambersburg. It is located near the top of South Mountain. This view was taken facing southeast at approximately 3:15 PM on Sunday, November 29, 2009. 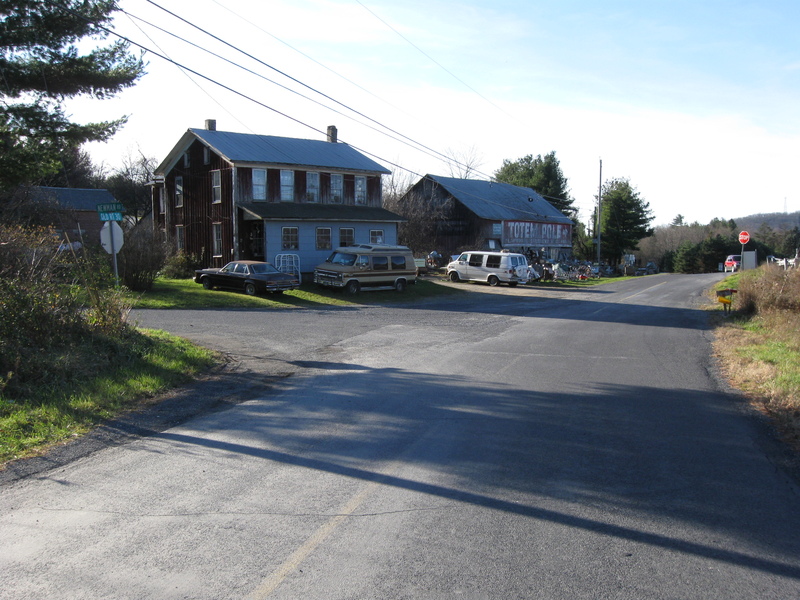 At the barn (out of sight on the right) Old U.S. Highway 30, the original Chambersburg Pike, leaves the modern road and goes by the site of Newman’s Tavern, the building shown on the right. Just past the house is the junction with Newman Road, which goes off to the right (south). 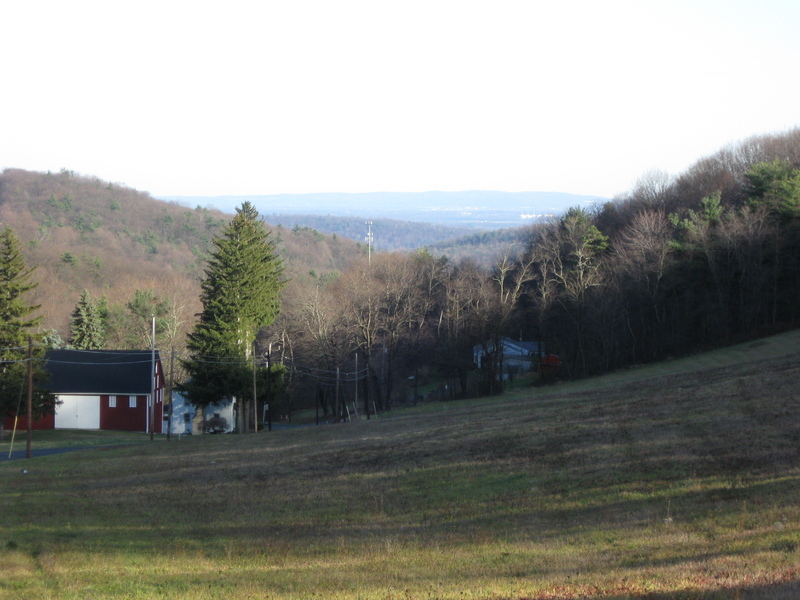 This view was taken facing southeast at approximately 3:15 PM on Sunday, November 29, 2009. Newman Road. This view was taken facing south at approximately 3:15 PM on Sunday, November 29, 2009. 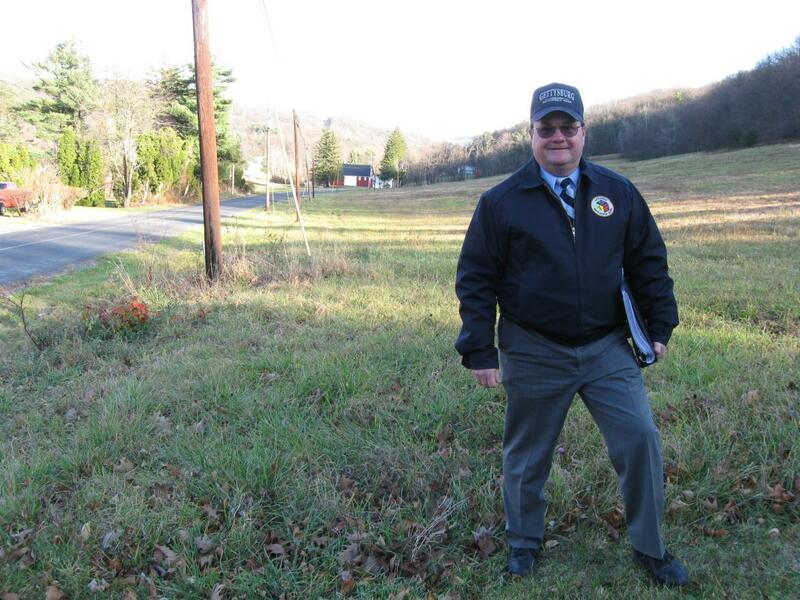 In Video #4 (Videos #1-#3 were shown in our previous tavern post) Gettysburg Licensed Battlefield Guide John Winkleman is standing near the site of Newman’s Tavern on the Chambersburg Pike. He gives us some history of the tavern and explains how the Chambersburg Pike branches off from modern U.S. Highway 30 at this location. This view was taken facing southwest to west to southwest at approximately 3:15 PM on Sunday, November 29, 2009. The photographer is standing in the middle of the old Chambersburg Pike. Look at the stop sign. The red vehicle to the left of the stop sign is traveling on modern U.S. Highway 30. Newman Road forms a junction here just this side (east side) of the house. This view was taken facing west at approximately 3:15 PM on Sunday, November 29, 2009. Alexander Thompson built a log structure here in 1786. David Newman operated a tavern here from 1805 to 1864 when he died. The tavern burned in 1869, and David Newman’s son built this structure a few years later. This view was taken facing southwest at approximately 3:15 PM on Sunday, November 29, 2009. 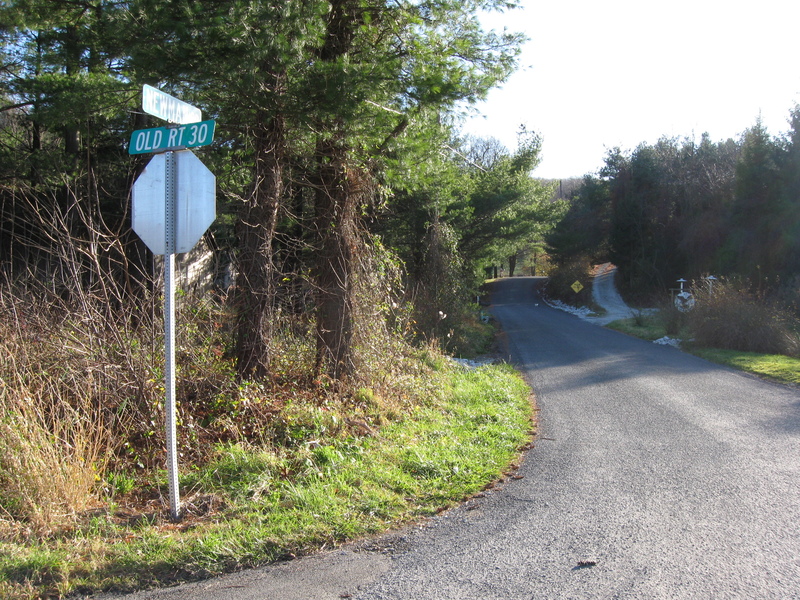 We have now moved east along the old Chambersburg Pike into Cashtown Gap. This view was taken facing east at approximately 3:15 PM on Sunday, November 29, 2009. In Video #5 Licensed Battlefield Guide John Winkleman is standing in the Cashtown Gap. He tells us how a party of citizens was sent to this area to obstruct the road on June 23, 1863. This view was taken east at approximately 3:15 PM on Sunday, November 29, 2009. We are looking towards Gettysburg through the Cashtown Gap. This view was taken facing east at approximately 3:15 PM on Sunday, November 29, 2009. In Video #5 John Winkleman explains how locals “bushwacked” and mortally wounded a Confederate soldier here. This view was taken facing east at approximately 3:15 PM on Sunday, November 29, 2009.